Welcome to our 2018 Holiday Gifts Guide! You may filter the gift ideas that appear below by selecting your desired options on the left (or right below this message on mobile). This kit is an excellent gift for any child who's interested in science or geology. 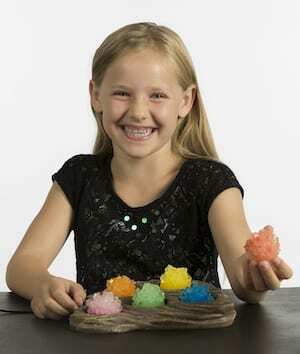 It allows your daughter to explore the beauty and complexity of crystal growth with stunning results. By following easy to use directions, she will watch as each sparkling crystal forms and grows inside its own unique display dome. Once grown, these crystals will last indefinitely for family and friends to enjoy! Brilliance blossoms into hours of kid-powered fun with this colorful DIY design studio. Helps develop hand-eye coordination, matching, patterning, problem-solving & construction skills, and fine motor abilities—and inspires imagination! Includes fold-up flower board, power drill, 60 bolts, 6 designer plates, butterfly clasp, Phillips bit, flower bit, and guide with 12 patterns. Winner of the Oppenheim Toy Portfolio Gold and Toy Insider awards. Supports STEM learning - manipulative play helps enhance physical dexterity and hand-eye coordination! Portable fun - play anywhere! This compact version of the popular Design & Drill activity set features built-in storage for anywhere, anytime fun. 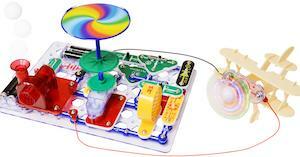 Snap Circuits makes learning electronics easy and fun! 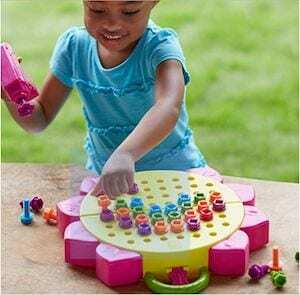 This toy has easy-to-follow colorful directions to allow your girl build exciting projects such as a flying saucer, alarms, doorbells and so much more! The creative possibilities are endless! 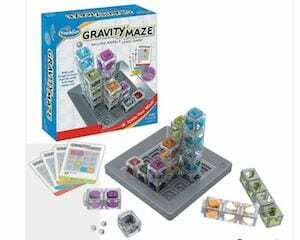 This gravity-powered logic maze is sure to put her visual perception and reasoning skills to the test. 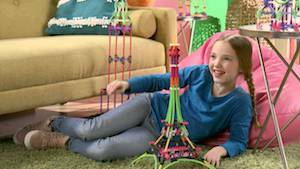 She will need to carefully evaluate each challenge because for each puzzle there is only one correct way to arrange the towers and successfully guide the marble to its target. 60 challenges ranging from Beginner to Expert will give her plenty of chances to maneuver the gravity maze! These are action figures with a twist! The IAmElemental action figures represent the 7 Elements of Wisdom - Creativity, Ingenuity, Curiosity, Logic, Exploration, Mastery, and Oblivion. 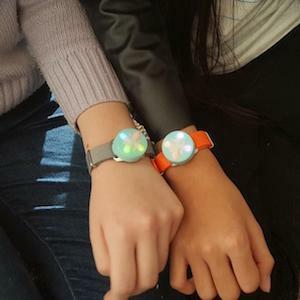 Even the friendship bracelet is entering the 21st-century, as Jewelbots allows your girl match her friends and send secret messages!! Learning how to code with Jewelbots feels like playing with friends. They can test their skills with step by step coding challenges and get instant gratification. Builders will get to travel the world by creating different landmarks on their own with this set. Let them discover the beauty of each continent and what the world has to offer. This set connects with a child’s natural curiosity and creativity, putting them on a path towards a fundamental understanding of STEAM subjects. 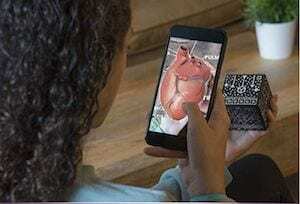 The merge cube allows hours of exploration in the world of augmented reality. Your girl will learn, play, and create in augmented reality by holding and interacting with virtual objects. The merge cube is a fun stem toy used by hundreds of schools to engage kids in lessons on math, science, anatomy, engineering and more. This miniature garden simulates a natural environment. Your daughter will discover the beauty of nature by creating her own beautiful terranium and then watch as it grows by day and glows at night! 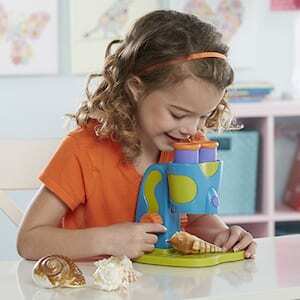 Examine everything from a rock to a penny, stamp, or leaf in magnified 3-D with this fully functional dissecting microscope. Encourages an early love of scientific investigation and discovery! Large, fixed sample tray holds flat objects like stamps and coins OR 3D objects like bugs and rocks – no slides required! Solve mysteries around the world with Detective Agency! Travel to six famous cities, inspect hundreds of clues with your magnifying glass, and learn about geography and landmarks around the world! PicassoTiles will allow your preschooler to acquire a strong sense of color, geometrical shapes including 3D forms, numbers counts, magnetic polarities & architectural design. This is sure to provide hours of endless creative and imaginative play! Bonding By Playing - Entertaining For Single Or Multiple Parties And Feel The Sense Of Achievement Together. Suitable For All Ages (3 And Up) By One Party Of In Groups A Great Way To Spend Quality Time With The Family And Loved Ones. LEARNING BY PLAYING! 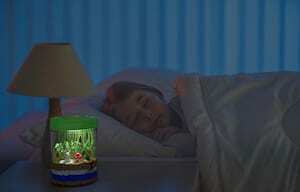 - Never too early to start developing kids creativity at a young age. 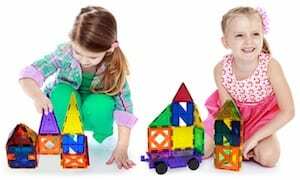 Children can acquire a strong sense of color, geometrical shapes including 3D forms and numbers counts, physical magnetic polars, and architectural design by playing. DREAM BIG AND BUILD BIG! - No limitations, scalable to build as big as desired by adding more pieces and various shapes. PicassoTiles in colossal styles. Encourage creativity which is the key factor to success in today's ever-changing environments. BONDING BY BUILDING - Feel the sense of achievement together. Suitable for all ages (3 and up) by single or multiple players in groups, a great way to spend hours of parent-to-child quality time with the family and love ones to create strong interpersonal communication skill. It’s a whole new spin on learning about geography! The Puzzle Globe is designed to help even PreK learners investigate the continents, the oceans, famous landmarks, different kinds of animals, and so much more! Each puzzle piece (continent) fits into one hole on the globe to make it easy for little ones to place. All 7 continents are represented (6 continent puzzle pieces plus stationary Antarctica). Globe measures 8” in diameter; largest piece (Asia) measures 5¾”L. 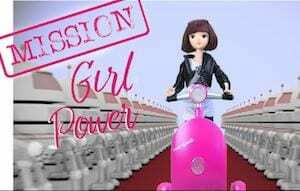 SmartGurlz is an acclaimed line of kid-friendly self-balancing robots and action dolls that both engage and encourage young girls to learn code. Connected via smartphone or tablet, SmartGurlz allows girls 6 and up to immerse themselves in Science, Technology, Engineering and Math (STEM) through interactive apps and games. • ZARA- Our Zara doll is a best-selling fan favorite. She’s the perfect doll companion for young girls as they learn to code. Zara loves technology, coding of all sorts, and comes with her own matching violet scooter. Zara is bound to find a hack that will help your kid learn coding. • AS SEEN SHARK TANK-- SmartGurlz caught the Sharks attention after beating over 40,000 companies to make it on the show. Our award-winning toy engages girls 5 and up to learn about coding and programming languages and has been recognized by the BBC, Forbes, CNN, and Fox News for its work. Compatible with Android and IOS devices. Compatible with Android and IOS devices, break from the constraints of the classroom and computer to code. • A CODE LESS TRAVELED- SmartGurlz uses dolls and a kid’s friendly user app to interest young girls in coding. Break from the screen to teach young girls coding. SmartGurlz makes smart girls by creating the perfect doll and supporting app, teaching a coding and programming language kids can understand and enjoy. • HACK TO THE BASICS- Download the user and kid-friendly Sugar Coded app to get started. Simply download on any smart device, and get to coding. Our Sugar Coded app provides multiple levels of play-- providing obstacles, missions, and adventures that can inspire any future engineer or app developer via simple user-friendly smartphone games. • MISSION ACCOMPLISHED- Our breakthrough toy technology integrates the power of play with the power of technology. The Sugar Coded app provides e-books so you can learn about your character through a series of stories. Free-play lets you control the scooter using the direction pad or present commands. Using Path, you can draw a path and your doll and robot siggy and Zara will follow. Play and complete missions using coding to execute tasks. Inspire your girls, and groom the leaders of tomorrow. 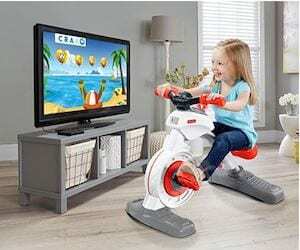 Preschoolers can learn important skills they'll need as they head into kindergarten, all while they pedal through exciting games played right on a tablet or television. This immersive play experience makes learning fun and active!